The simplicity of RSS has led to RSS feeds appearing on many job sites. Now it's time to make RSS work for your job search. Israemploy Latest Jobs – various jobs recently posted by employers on Israemploy.net. Janglo JOBOPPS – the members of Janglo.net post job listings in the Jerusalem area. craigslist | jobs in tel aviv – this feed covers Tel Aviv-based job openings posted on craigslist.com. craigslist | jobs in jerusalem – same as above, but for Jerusalem. craigslist | jobs in haifa – another feed from Craigslist, this time for Haifa-area jobs. Vast – Jobs in Israel – Another feed based on search results, Vast covers many industries beyond hitech including health and business. Kehillaton Israel jobs – Kehillaton is a global directory of Jewish-oriented websites. 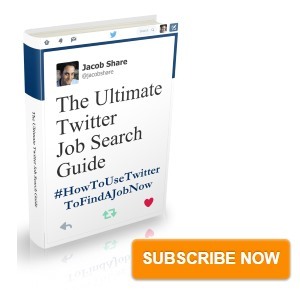 This rss feed filters the job postings for you from their Israel-based listings. Amdocs Careers – Israel-based jobs of all kinds i.e. not only hitech at one of Israel's most famous hitech companies. Tech Aviv Jobs – jobs from hitech startups, most of which are located in Israel but not all. Perl Jobs in Israel – jobs for perl programmers. Happy Zion Jobs Board – a feed of the recent additions to the job board, all kinds of jobs. In addition to the general feed above, The Jerusalem Post has a nice form from which you can generate a custom RSS feed for a job search in Israel, the USA or Canada. Nana's Unemployment forum – A feed of the reactions in Nana's Unemployment forum, sometimes jobs are posted or requested here. Home Helpers – A feed of want-ads for ‘hired help', experienced cleaners and occasionally babysitters. Tobefedup.co.il – a Hebrew site dedicated to helping any Israeli who's had enough of waiting for replies to their cover letter emails (you did read the Open Letter to the Recruiters of the World From Job Seekers Everywhere, right?). The feed has some job listings and site members can also post what they're looking for. Codex – a feed with jobs for lawyers and law students. Mojob – a job search engine where you can subscribe to result pages' rss feeds. Has some nice features, like a history of your recent searches. Latest Jobs from Meitav Manpower – a diverse list of the latest jobs available through the Meitav Manpower company. Thanks to Adrian Wajsbrem, Slav Ben Ari and Nir Savitzki for help finding some of the above feeds. All these feeds are available from the JobMob Bloglines account where you can browse each of them, or you can download the opml file for quick subscription to the entire list of feeds with the RSS feed reader of your choice. If you found this guide useful, you'll also enjoy The Ultimate List of Mailing Lists For Your Israeli Job Search. Find this guide useful? 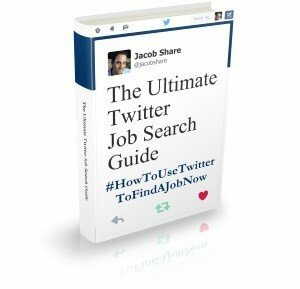 Subscribe to JobMob via RSS or email and follow me on Twitter for more ultimate guides for the Israeli job seeker. The University of Haifa also has a well regarded job database. It can be found here. I posted a comment here yesterday morning that is not up. I figured it was probably moderated, but as it has been more than a day, I wonder if you have received it? I wanted to add that the University of Haifa has a job search database available to anyone without a log-in or other identification. It is in Hebrew and very well regarded by the companies of the North. Here is the URL: http://jobresume.haifa.ac.il/. Although I don’t know for sure, I suspect many of the other universities offer the same, so would recommend asking someone in the know or searching their homepages. Thanks for being so persistent, Maya. That’s the first time in awhile that a real comment was left in limbo by my anti-spam. Israemploy just relaunched after having shut down for many months. That feed was in the first group I published but I removed it when Israemploy closed for their redesign. Thanks for the reminder, Nir. not in English, but you can easily register (using google translate) and submit your designs.